On the eve of the final day of session, the House and Senate finally released their agreed upon supplemental operating budget. 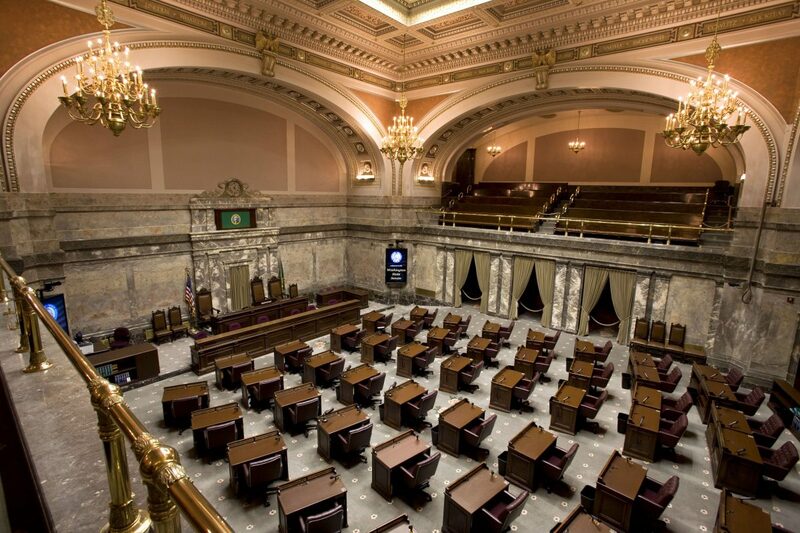 The 2017-2019 supplemental budget will put the state in compliance with the McCleary decision, provide property tax relief, and add about $1.2 billion in new spending to the $43.7 billion two-year state budget passed last Summer. Outside of property tax relief and education funding, highlights from the supplemental budget include over $170 million toward the state’s mental-health system, $28.2 million for wildfire response, and $18.5 million to the State Need Grant. A one-time property tax cut in the budget comes in the form of a 30-cent decrease in the 2019 property tax rate. In years 2018, 2020, and 2021, the rate is set at $2.70 per $1,000 of assessed value, and in 2019 the rate will drop to $2.40. The agreement on the timing and rate of the tax cut did not come without drama in the legislature. The tax cut is part of SB 6614, a bill that will also divert money collected from the property tax away from the Rainy Day Fund and into the Education Legacy Trust Account. Specifically, the bill would send $935 million to the education account. 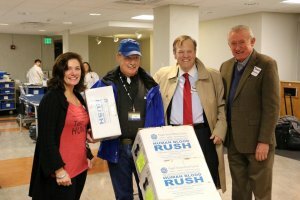 On Wednesday, Senate Republicans argued that now is the time to save money and bolster the Rainy Day Fund. They reasoned that with all of the additional revenue coming into the state, under current law and constitutional restrictions, $700 million of additional revenue should be going into the Rainy Day Fund. The also questioned the number of votes that would be necessary to pass the bill, since using Rainy Day funds requires a two-thirds majority. Lieutenant Governor Cyrus Habib ruled that because no money will actually be taken directly out of the account, a simple majority is all that required. The bill passed out of the Senate 25-23 vote on Wednesday night. Republicans are calling the move an illegal budget gimmick. 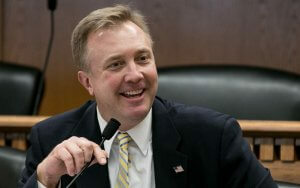 Senator Doug Ericksen, who previously offered his own property tax cut proposal, says the bill is setting up the state for financial disaster. 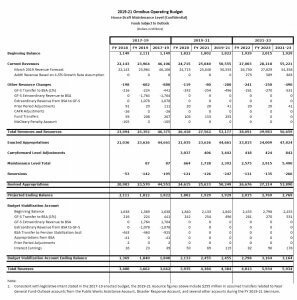 The supplemental operating budget passed out of the Senate by a vote of 25-24 on Thursday. During debate on the Senate floor, many Republicans cited this “budget gimmick” as the reason they could not support passing the budget. The finalized supplemental budget also puts the state in compliance with the Supreme Court’s recent McCleary ruling. When the House originally released their supplemental operating budget, they added money for education, but not specifically toward teacher and staff salaries as required to put the state in compliance in 2018. Also, since the beginning of session some Republican leaders have said that a better option is to simply ignore the court’s ruling and stay on their current timeline. However, the agreed upon deal goes more in the direction of the Senate’s original budget by dedicating money to comply with the court’s ruling. While the court said nearly an additional $1 billion was necessary to put the state in compliance by September 2018, the budget will add about $776 million. To the relief of many, the supplemental operating budget doesn’t add any new taxes. This was a chief concern for Republicans after the House proposed a capital gains tax in their budget beginning in 2021. 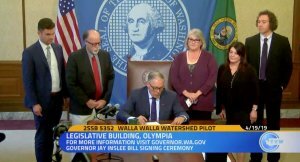 The supplemental budget also, of course, does not include a carbon tax, which was a central component to Governor Inslee’s supplemental budget proposal. The carbon tax died in the legislature after falling a few votes short in the Senate. The House also passed the budget on Thursday by a vote of 54-44. The budget now heads to the governor’s desk for approval.